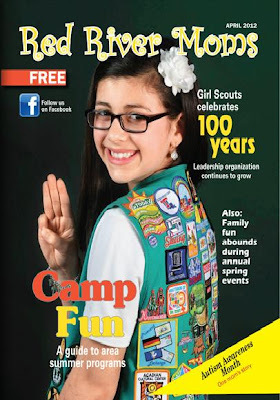 In Louisiana, the April edition of Red River Moms (a high gloss magazine that is printed in Shreveport, LA), has a feature on Girl Scouts of Louisiana - Pines to the Gulf and the 100th Anniversary. The online layout of the magazine is very interactive - check it out! Girl Scouts of Louisiana - Pines to the Gulf serves 42 parishes in Louisiana west of the Mississippi River. The headquarters is in Lafayette and offices are also located in Alexandria, Lake Charles, Monroe and Shreveport.